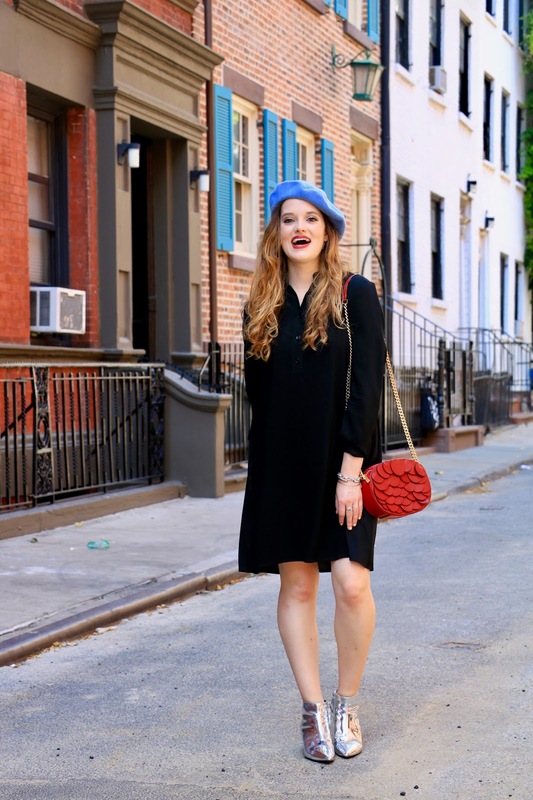 There's something so chic and ladylike about a little black dress. 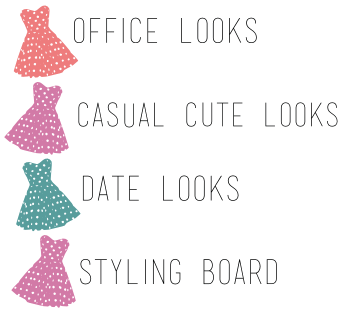 Make it a little black SHIRTDRESS, and you've got an effortless look that requires almost zero styling! 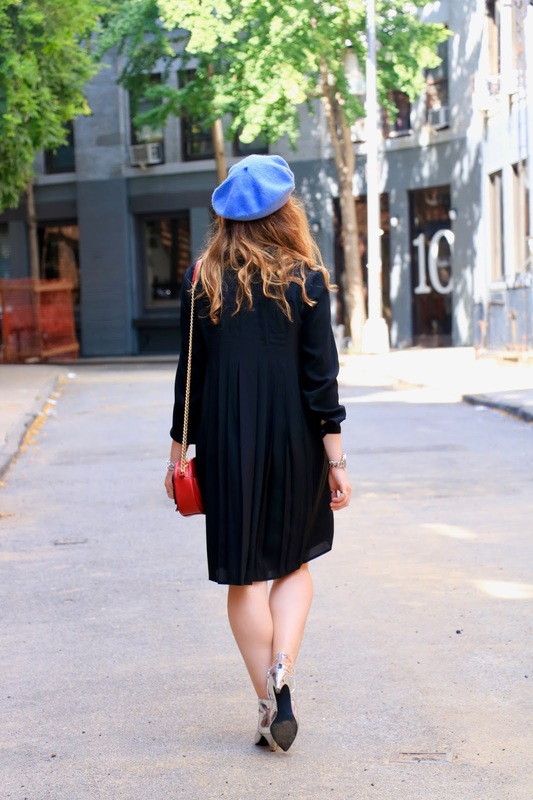 Here, I'm wearing a classic shirtdress with a twist, making my electric accessories really pop. I love how this dress is a bit longer in the back with long vertical pleats - this gives the entire piece major movement and ensures it stands out from your run-of-the-mill LBD. 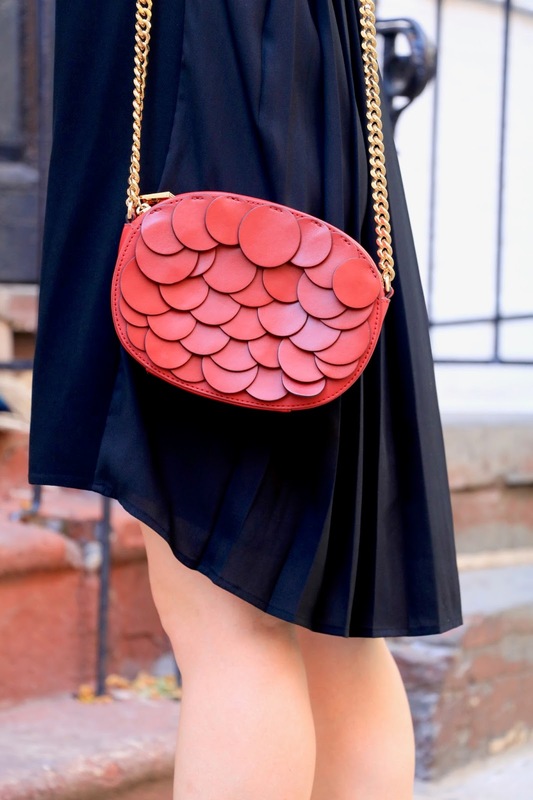 A romantic red lip and matching bag elevate the look even more. 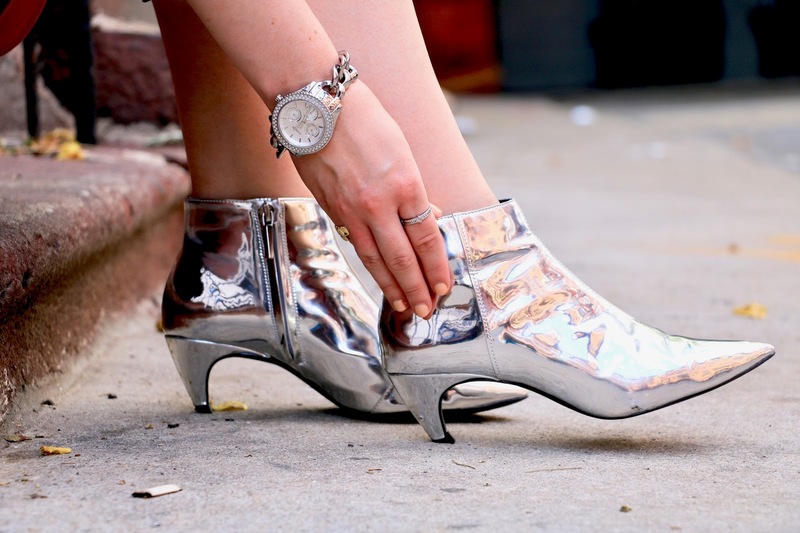 Silver booties may seem daring, but they're actually surprisingly versatile. I love wearing mine with jeans and a black top, but they also look quite striking when worn with a dress. Looks like my bare legs are getting their last taste of freedom before this fall weather kicks in full force!